Each napkin ring is made in sterling silver, and measures 1-3/4" diameter, and 1" wide. Prices shown are for each ring. 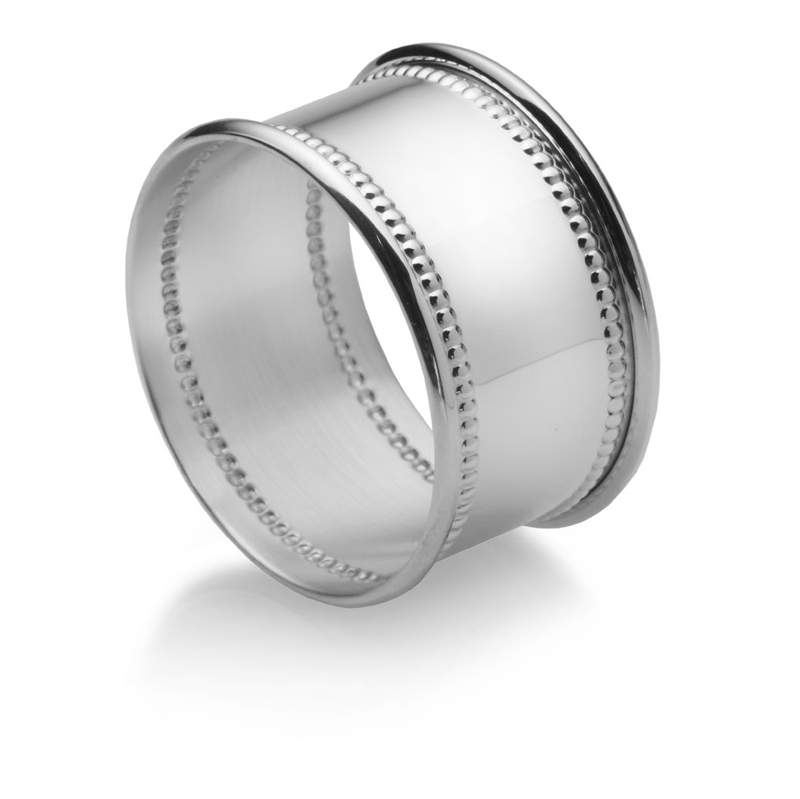 This napkin ring is also available in a classic plain style. We offer personalization! Add custom engraving to these beaded Napkin Rings. 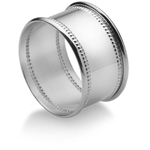 Simply add the Napkin Ring to your shopping cart to view your engraving options.